The current record of 80.4mph for a steam-powered motorcycle is held by American Bill Barnes and was set in 2014, something Wedgwood more than has in his sights. 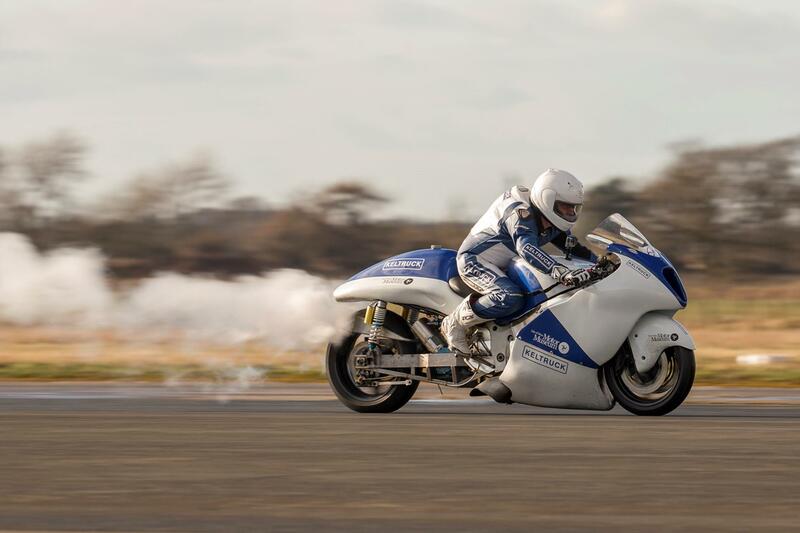 Last week his heavily modified Suzuki Hayabusa, which runs a contraflow monotube steam generator that uses kerosene as a fuel to produce 2000psi at 950-degrees Fahrenheit, hit a maximum speed of 72.97mph while testing at Elvington. Wedgwood will be making his record attempt at one of the Straightliners World Record Weekends at Elvington. If you fancy watching, or giving your own bike a run, information on Straightliners events can be found by clicking here.